Santa Clara apartments are located in the heart of the Silicon Valley, close to scores of major high-tech companies. Our beautiful, pet-friendly Santa Clara apartments are steps away from shopping, restaurants and VTA bus stops for quick travel to downtown Santa Clara. I-280 and I-880 connect drivers to the rest of South Bay and California. San Jose International Airport is just five miles away. These Santa Clara apartments are down the street from Mariposa Garden and Lawrence Station Shopping Centers, Central Park, Santa Clara Public Library and Kaiser Santa Clara Medical Center. They are ideal for employees of area businesses like Intel, Oracle, Applied Materials, Nortel and Apple. Amtrak’s Capitol Corridor and Altamont Commuter Express provide rail transportation. Eight Spanish missions are located in Santa Clara, which became a city in 1777. Santa Clara is also the headquarters of the San Francisco 49ers, Great America amusement park and even a LEGO store. It is served by the Santa Clara Unified School District as well as several private primary, middle and secondary schools. Local golf courses include Sunken Gardens and Pruneridge Farms. 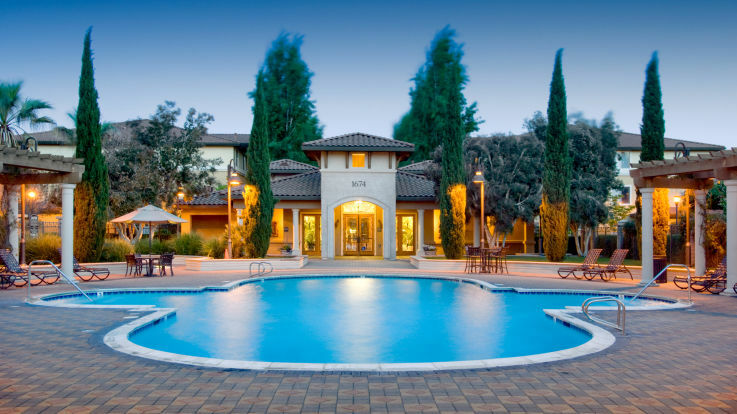 Equity’s Santa Clara apartments are beautifully landscaped, including decorative fountains and a winding pond. Amenities include a large clubhouse with big-screen television, fitness center, laundry room, reserved parking, on-site management and outdoor barbeque and picnic areas. The spacious Santa Clara apartments have private balconies with great views as well as fireplaces, built-in bookcases, large closets and fully-equipped kitchens. Start enjoying life in the Bay area in one of our luxury Santa Clara apartments, where you can experience elegant interiors and sophisticated living in one of the most amazing locations. 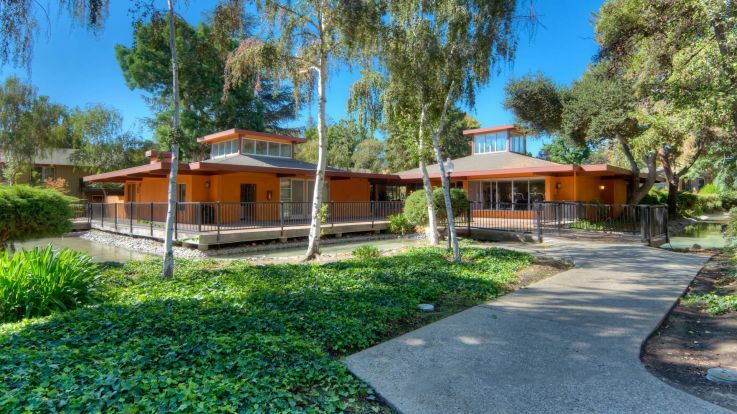 You can also check out our other properties in South Bay.